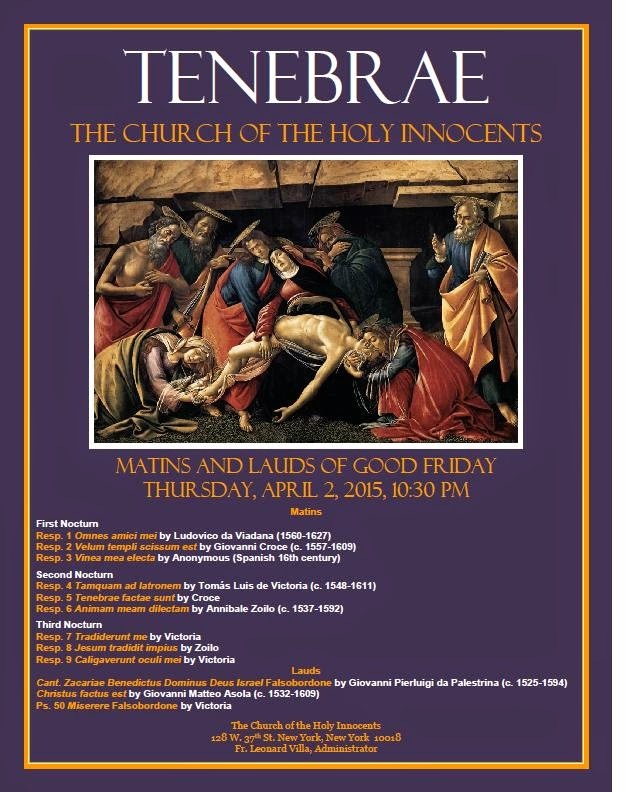 Today, Thursday April 2nd, there will be Tenebrae of Good Friday at 10:30pm at The Church of the Holy Innocents. Fr. Leonard Villa will celebrate. 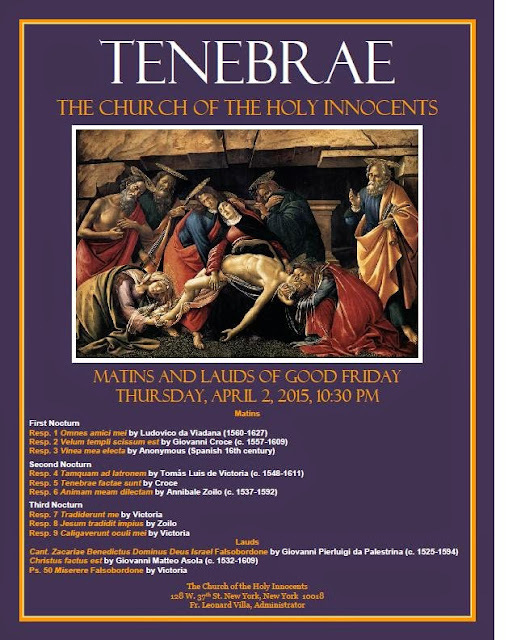 The music will be sung by the Schola and Choir of Holy Innocents Church.